Some pics from the Concert.. I didn’t exactly have the best seat in the world during the concert.. 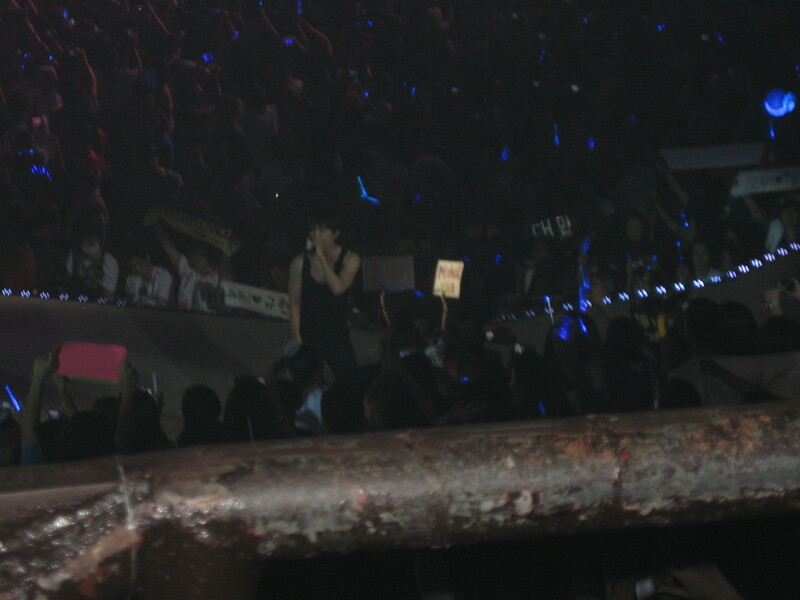 I think, my friend and I were very lucky with that seat because Siwon (who by now you know is my favorite) almost always stayed near that place.. but still I wish I had closer seats..
Super Junior concert in Manila!!! 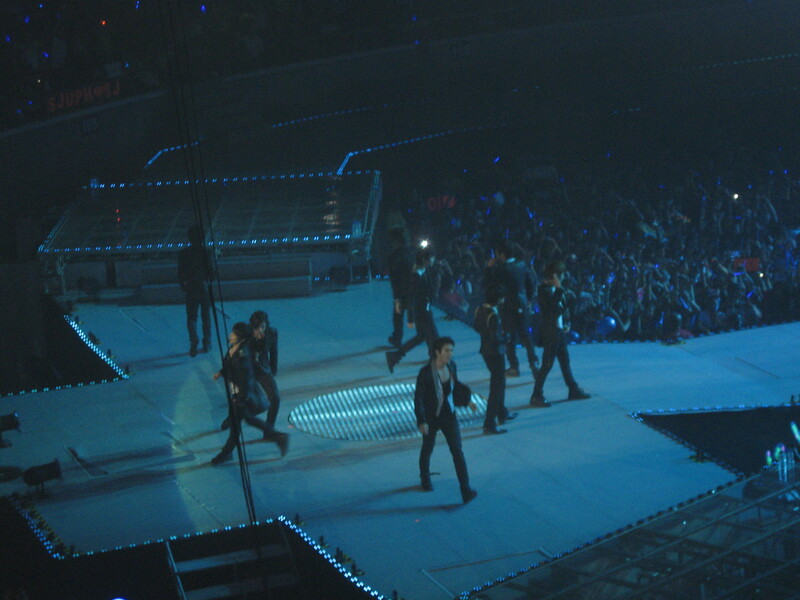 I’m sorry for not updating my blog for a few days.. but I had to fly to Manila to watch the Super Junior concert!!! I am from one of the other islands in the Philippines and going to the capital entails me to take a one hour flight and an overnight stay there.. but all that was worth it! Because I absolutely enjoyed the 3 hour concert!!! I wish the concert would never end! 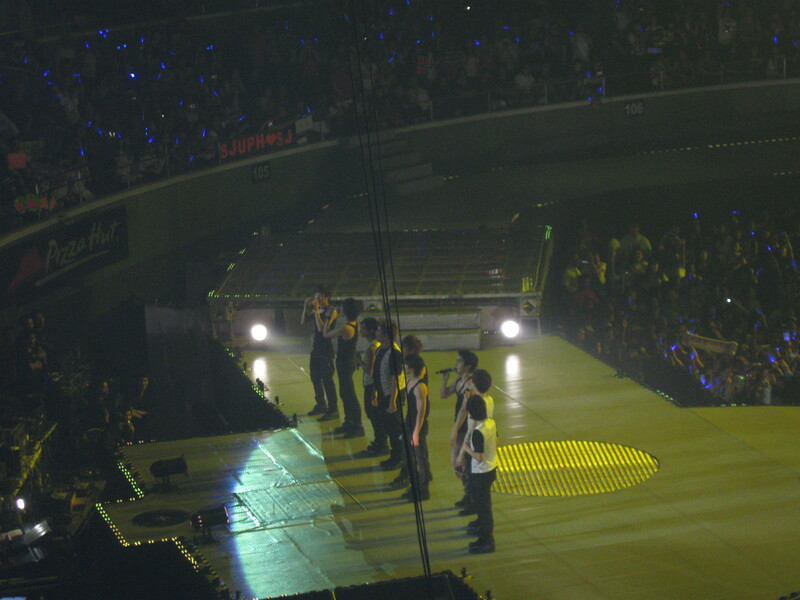 Last Saturday night, I saw 12 handsome boys…yes not all of them were present but seeing the 12 made me feel happy.. Leeteuk, Heechul, Yesung, Shindong, Sungmin, Donghae, Eunhyuk, Siwon, Ryeowook, Kyuhyun, Zhou Mi and Henry rocked the Big Dome (Araneta)!! It was one of the best concerts I’ve been too! They sure know how to make fan girls scream! I know they are handsome but they are truly more handsome in person! (sorry for using too much exclamation points on this post… I’m too excited and I haven’t gotten over it!!!) Leeteuk looked different — he is not one of the striking Suju members when I usually see him.. but when I saw him in the concert.. he is really handsome.. Eunhyuk is not as thin like we see him on TV.. he’s physique is just right and he has really buff arms! Siwon is still uber handsome.. and the abs are something to die for ^^! 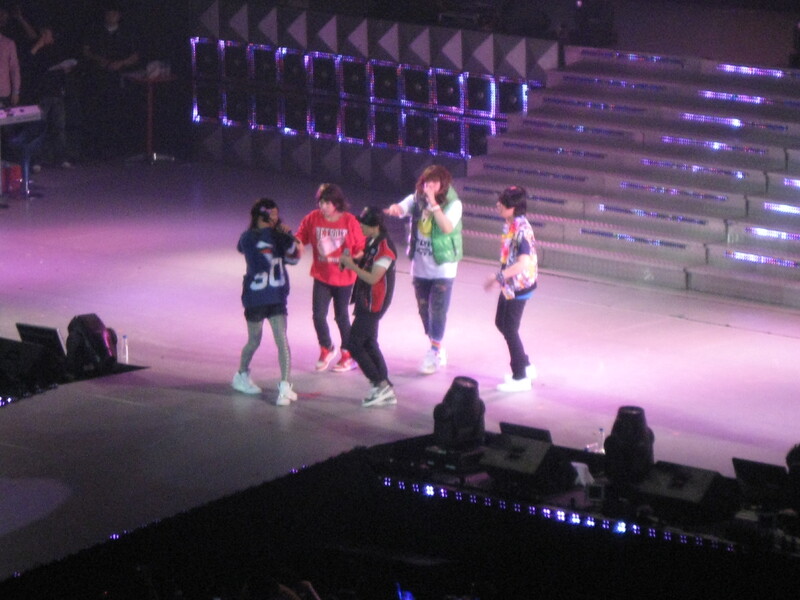 Donghae is very energetic.. but among them all, the person I can’t help but notice is Kyu… Omo! He is very handsome! 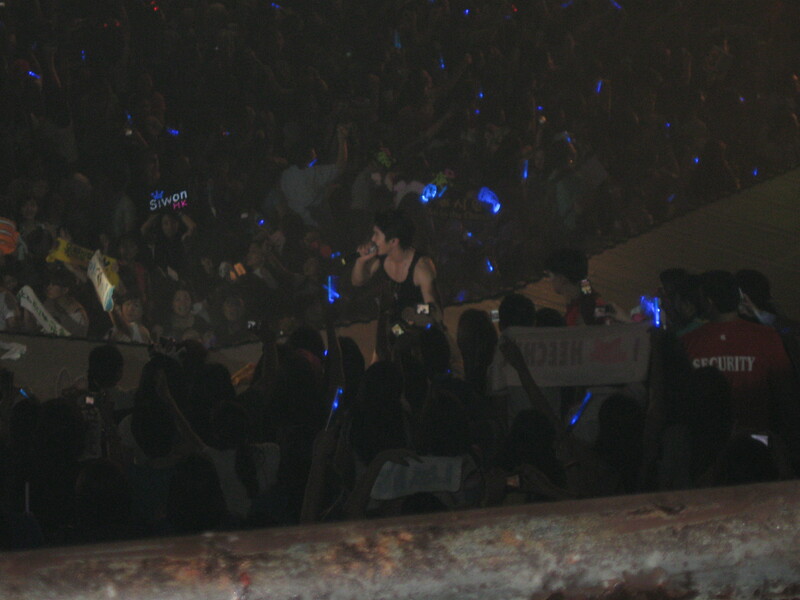 i think maybe his new hairstyle fits him.. and his voice is truly amazing..
but for now I leave you with 2 videos..
Yesung doing his handstand, Kyu’s moonwalk, Sungmin showing his karate moves, Donghae running around the stage, Leeteuk throwing a towel with his sweat and Shindong counting in Filipino and saying Ano Ba Yan?? (what is that? or what the heck?) 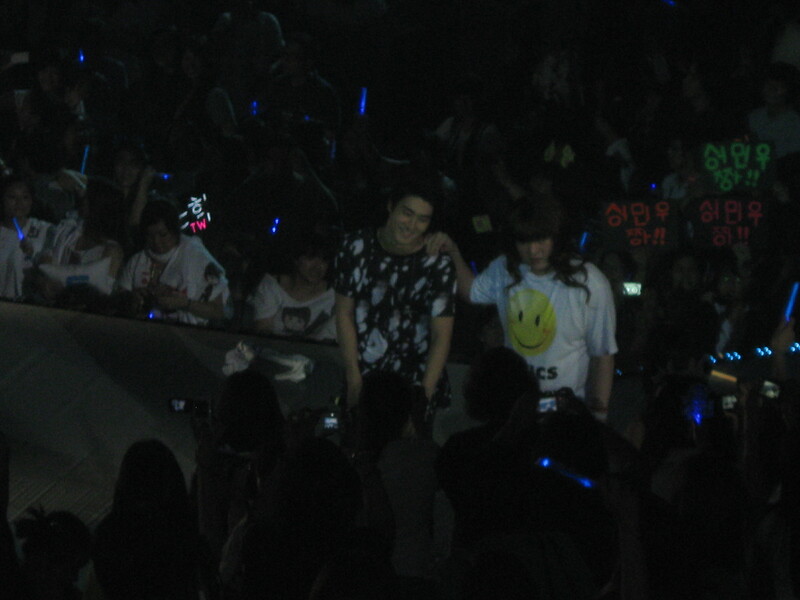 ^^… ahh Shindong.. he is not as fat as he looks like and he is actually handsome in real life.. I should know.. when they started the show, his entrance was very near our seats!! !